(4/10) Back with his fourth science fiction epic, George Pal sets out to explore the mental and theological aspects of a trip to Mars. Good ideas abound, but the movie is scuttled by ham-fisted script. 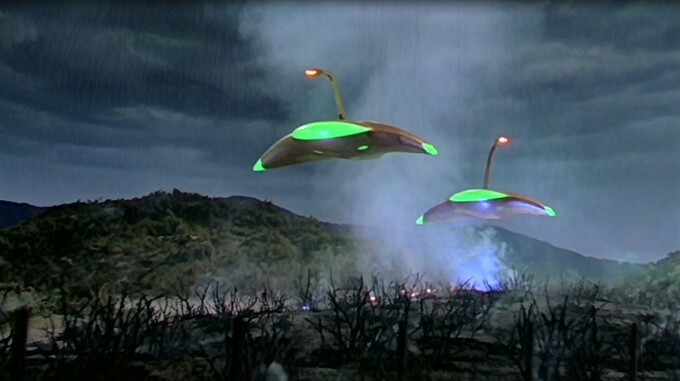 The special effects are very ambitious and impressive when they work. Unfortunately they don’t work most of the time, leaving us with flickering composites and thick matte lines. 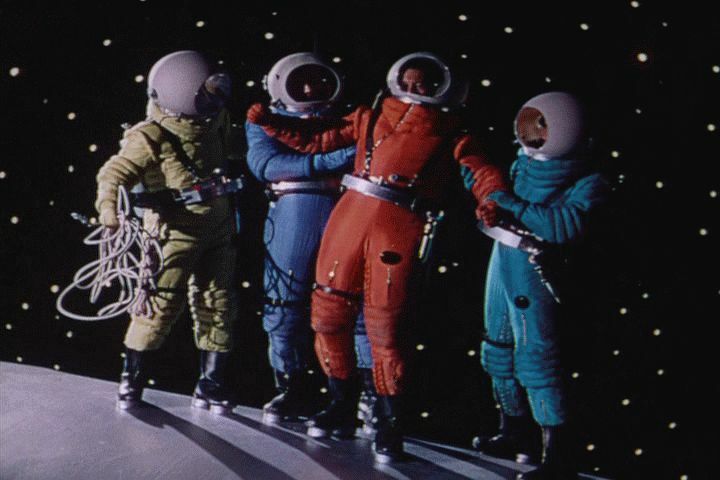 Pal’s idea of bringing humour into the mix is making one of the astronauts a dim-witted Brooklyn stand-up comedian. Fun to watch, but ultimately disappointing. 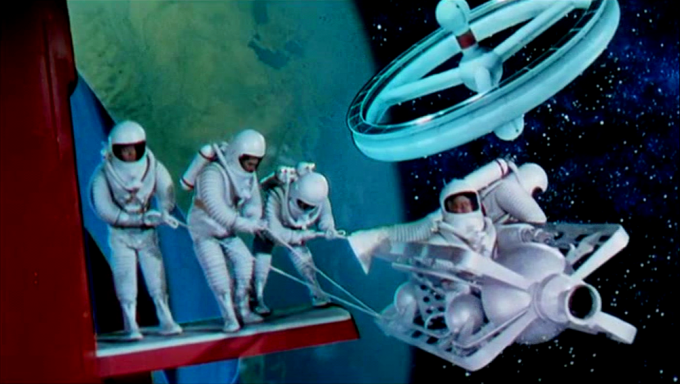 Astronauts on a space sled going from a rocket to the space station, “The Wheel”. 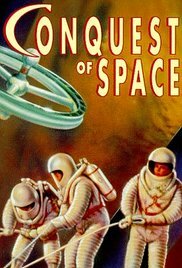 Conquest of Space (1955, USA). Directed by Byron Haskin. Written by: James O’Hanlon, Philip Yordan, Barré Lyndon, George Worthing Yates. 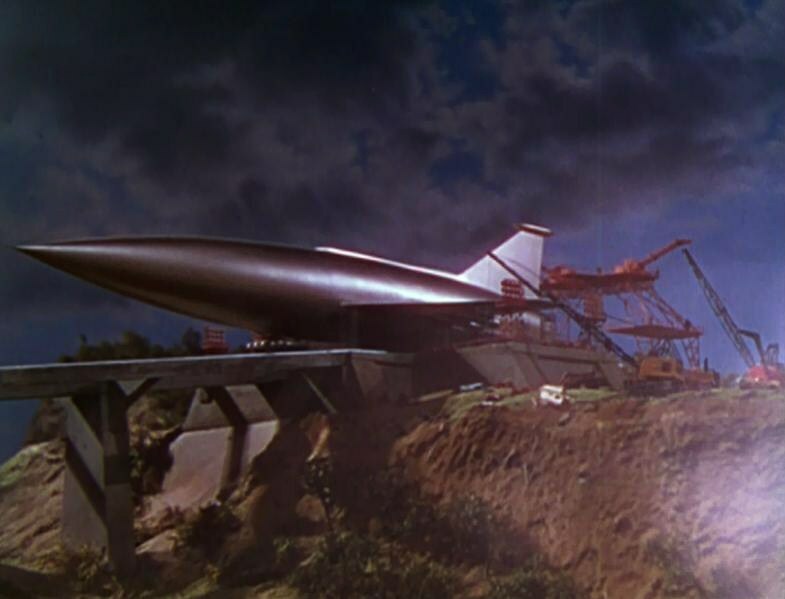 Based on the books Conquest of Space by Chesley Bonestell and Willy Lay and The Mars Project by Hermann Oberth. Starring: Walter Brooke, Eric Fleming, Mickey Shaughnessy, Phil Foster, William Redfield, William Hopper, Benson Fong, Ross Martin. Produced by George Pal for Paramount Pictures. IMDb rating: 5.8/10. Tomatometer: N/A. Metascore: N/A.